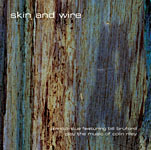 For drummer Bill Bruford, known for his work with progressive rockers King Crimson and Yes, but perhaps someone who should be more duly considered for his recent forays into jazz with his Earthworks band, currently featuring British woodwind multi-instrumentalist Tim Garland, the creation of his own record label seems, as it has for many artists including Dave Holland and Dave Douglas, the next and right logical step. 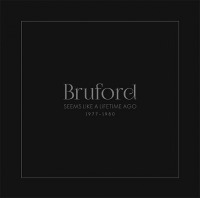 But with a diverse catalogue of projects that stretches back nearly 30 years, Bruford has gone a step further and created not one, but two labels, breaking up his work at the watershed point of '87, where his projects took on a more distinctly jazz-informed flavour. The first label, Summerfold, which issued Random Acts of Happiness , its first disk of new material late last year with his current Earthworks band to much critical acclaim, is also dedicated to reissuing Bruford's more overtly jazz projects, beginning with the late '80s Earthworks Mark I, his one-off project with Ralph Towner and Eddie Gomez, If Summer Had Its Ghosts , his recent incarnation of Earthworks Mark II, plus, of course, any new releases in which he is involved. 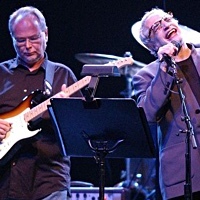 The second, Winterfold, concentrates on his earlier, more progressive-leaning projects, including his first band, Bruford, which recorded albums including One of a Kind and Gradually Going Tornado. The intention is to reissue these disks in remastered form, and in some cases with bonus material. Rumour has it, in fact, that the live The Bruford Tapes will be reissued as a two CD set, with a full evening's worth of music. As a bonus feature, for the time being at least, all Summerfold disks come with a bonus disk that is a sampler of some of the material that can/will be found in the Winterfold catalogue; similarly, purchasing a Winterfold disk will give you a bonus CD with a selection of material from Summerfold. 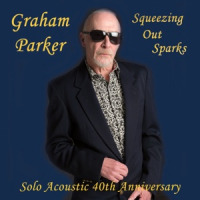 The purpose is the try and migrate audiences who are more familiar with the recent jazz-inflected Bruford projects towards his earlier material, and to get fans of his more progressive rock work to check out his current direction. A savvy marketing move and one that has already been garnering positive response from fans abroad. The first two disks to be issued by Winterfold are oddities in the Bruford catalogue; two duet recordings that he made with Swiss keyboardist Patrick Moraz, Music for Piano and Drums , originally released in '84, and Flags , issued in '85. At least they seemed like oddities at the time, but Bruford's recent CD and DVD issues with Dutch pianist Michiel Borstlap, Every Step a Word, Every Word a Song and In Concert in Holland , show that Bruford has, along with so many other things, a definite affinity for the stark setting of piano and drums. Moraz, best known for his short stint with Yes (albeit not at the same time as Bruford) and their classic recording Relayer , and as keyboardist for The Moody Blues, always had broader aspirations. As, at the time, did Bruford. Bruford's main gig at the time of this recording may have been with the '80s incarnation of King Crimson that released albums including Discipline and Three of a Perfect Pair , but his personal interest was beginning to lean more and more towards jazz, something that was always in his background. So when Moraz and Bruford got together, the idea was to perform in a duet context that leaned heavily towards improvisation. 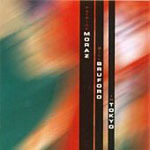 While only two of the tracks on Music for Piano and Drums are clear free improvisations by Moraz and Bruford, exploration is the order of the day on the entire disk, which includes three bonus tracks taken from a live performance in Tokyo from '85. One of the things that the recording demonstrates, when taken in comparison with Bruford's more recent work, is just how far he's come in terms of loosening up his approach. Bruford was, with Yes and King Crimson, an incredibly mathematical and precise drummer, creating odd and captivating rhythmic patterns that displaced the beat in new and intriguing ways. But that same logical exactness would be a detriment to him approaching a more unstructured context. Still, the music on Music for Piano and Drums is remarkably loose. 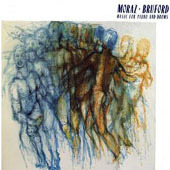 Ranging from the clearly constructed and classically-informed "Children's Concerto" to more the more free-ranging "Living Space" and "Any Suggestions," there is an interesting simpatico between Moraz and Bruford that demonstrates a broader capability than their "day gigs" of the time would imply. Moraz may have come from a classical background, but concurrent with those pursuits he was displaying a strong interest in jazz, as evidenced by his winning Best Soloist award at the '63 Jazz Festival in Munich. Easily capable of abstraction, Moraz is clearly a more expressionist player; although he is au fait with impressionism as well. "Eastern Sundays" begins darkly, with Moraz creating an ethereal ambience supported by Bruford's deft cymbal work, but the piece ultimately evolves into a somewhat restrained free-for-all. The three live bonus tracks are, in some ways, less successful than the studio pieces, if only because Moraz, rather than restricting himself solely to acoustic piano, adds synthesizer to the mix. The result, however, is an interesting contrast to the studio material; the studio version of "Blue Brains," for example, has Moraz plucking the strings of the piano in a delicate way before introducing the main theme. The live version has him using a percussive synthesizer tone that, while working, is somehow less compelling, less sonically appealing. Similarly Bruford has his acoustic kit augmented with electronic drums and the result is something less pure and undiluted. Still, it's interesting to hear how the duo approaches the material with a larger arsenal of textures at their disposal. 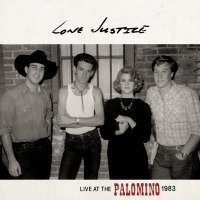 And these live tracks also serve as an indication of where the duo would go with their follow-up album, Flags. But back to the original studio recording. 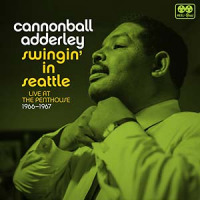 Albums like this always tend to challenge the preconception that there has to be a fuller ensemble. Stark and spacious at times, equally rich and full at others, Moraz and Bruford create a broad tapestry with only two instruments that, considering their primary occupations at the time, must have come as quite a surprise to many of their fans. But reassessing Music for Piano and Drums now, twenty years later, it makes perfect sense. 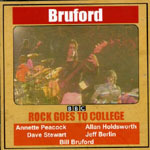 Certainly this project was an eye-opening precursor to what would follow in Bruford's career as a leader. 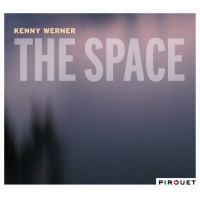 The follow- up to Music for Piano and Drums is more along the lines of what fans might have expected the first time around. 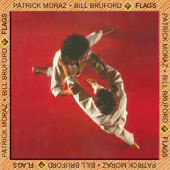 Flags features Moraz's augmenting his piano work with his Kurzweil synthesizer; a fuller production with overdubbing, and more structure. Still, to contrast purely anthemic tracks like the opening "Temples of Joy," Bruford and Moraz offer moments of pure improvisations, including the driving "Split Seconds" and "Infra Dig," which is based around a challenging theme but ultimately evolves into a more free-flowing exploration, with Bruford's light cymbal work and strategically placed shots providing interesting counterpoint to Moraz's more flowing lines. Again the chemistry between the two is clearly evident. 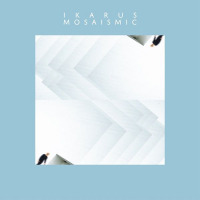 But to give the album more diversity, the duo juxtapose these more liberal extemporizations with pieces that are clearly more songs than experiments, like the pretty "Karu," which is a solo feature for Moraz, who layers all manners of synthesizer tracks over his basic piano performance. "Impromptu, Too!" is samba with a progressive edge that reflects Moraz's interest in Brazilian music and, yet again, demonstrates an unheard side of Bruford's playing. The title track is a lyrical ballad, with Bruford providing light forward motion over Moraz's spacious piano, until the synthesizers enter and the piece develops, again, into a song-based feature for Moraz's tasteful keyboard work. "The Drum Also Waltzes" is a Bruford feature, a Max Roach composition where Bruford layers his melodic drum solo over a simple ¾ sequence. 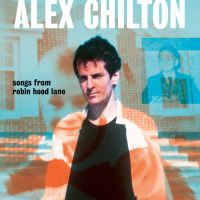 Taken from the same Tokyo live performance as on Music for Piano and Drums , three bonus tracks featuring more electronic interpretations of pieces from Music for Piano and Drums feel more in context with the concept of Flags ; still loosely improvisational, the use of assorted synthesizer tones create a more compatible timbre. 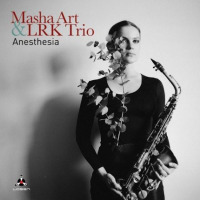 And the concluding track, "Galatèa," returns the duo to the sheer clarity of simply piano and drums. Still, more ambitious than Music for Piano and Drums from a production perspective, Flags is clearly a completely different record, based more on overt structure and through-composition that manages to demonstrate the potential power of the duo. But in some respects Music for Piano and Drums is a more successful record in its stark simplicity and freedom. Regardless, both disks are welcome reissues that demonstrate the breadth of Bruford and Moraz's musical concerns. And the two recordings place a spotlight on Bruford as a more versatile drummer capable of freer explorations and a more elastic time sense, qualities that he would ultimately develop further with projects beginning with Earthworks Mark I in '87. Music for Piano and Drums and Flags are, in fact, the perfect juncture between Bruford's progressive leanings and his future jazz interests. Visit Bill Bruford and Patrick Moraz on the web.